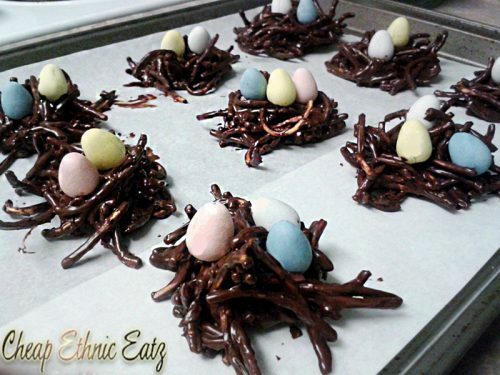 These Chocolate Birds Nests are the perfect little Easter treat. They are so easy to prepare with chocolate, a nut butter and wheat cereal biscuits. Working with people who also love to cook is wonderful. I would say 70% of our daily social talk revolves around food, at least. We all have varying degrees of experience and we all agree: cooking and baking are two separate beasts. 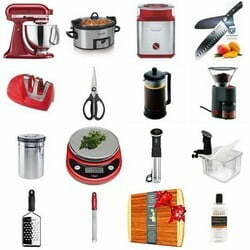 A perfect example is a colleague of mine who is great a cooking but is trying to master baking. We keep telling him baking is chemistry, you HAVE to follow the steps and measurements. Recently we did get great cookies from him. 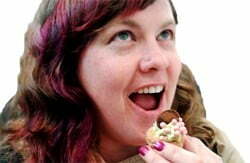 Did I mention we have a communal snack table too so we can share our homemade treats lol? 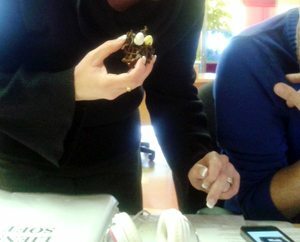 These Chocolate Birds Nests were so welcomed at the communal snack table. And then candy making is in a whole other category. Many of us are intimidated by the thought of making our own candies. You have to follow precises temperatures, very specific directions, etc. 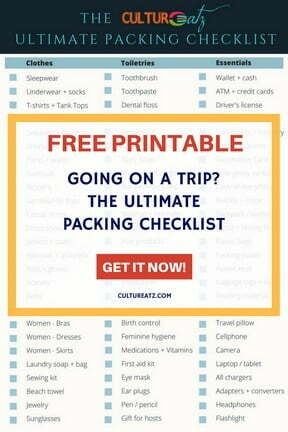 So many thing can go wrong!?!? At least that is how we feel. But if you take your time and follow a recipe to the letter, you should be good. So I was thrilled to resharpen my candy making skills when I recently got a copy of the 300 Best Homemade Candy Recipes cookbook. From all the tantalizing recipes in this cookbook I could not pass up these Chocolate Birds Nests, they just screamed Spring and Easter! Are these not just absolutely adorable? My colleagues were quite happy with my snack contribution today! Do you bake and bring your goodies to work for you colleagues? I substituted the large shredded wheat cereal for Chow Mein noodles, as I could not find any that day. I think the nest look is more realistic this way too. For my chocolate I used “couvertures”, made for candy making, from Cacao Berry which I got at a chocolate show in early February. The recipe is courtesy of 300 Best Homemade Candy Recipes by Jane Sharrock © 2014 www.robertrose.ca Reprinted with publisher permission. 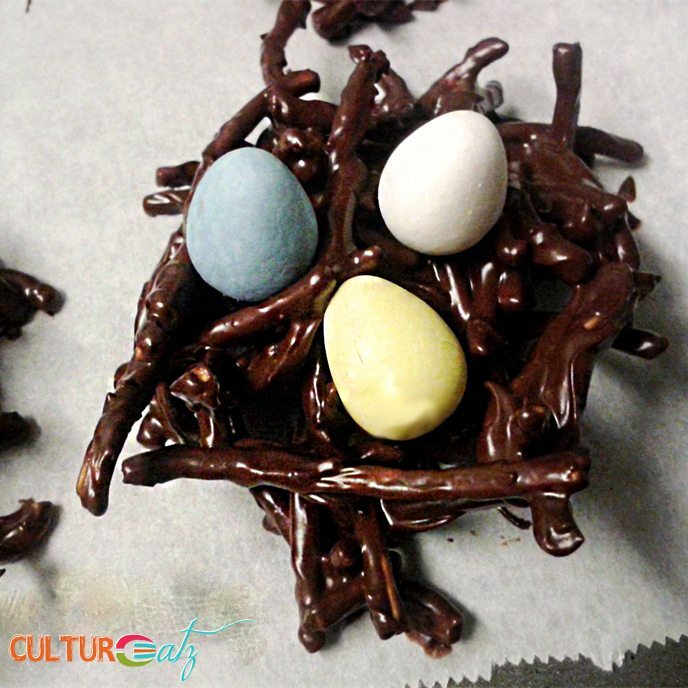 Perfect for an Easter celebration, these egg-filled birds’ nests will put a twinkle into any child ’s eye. 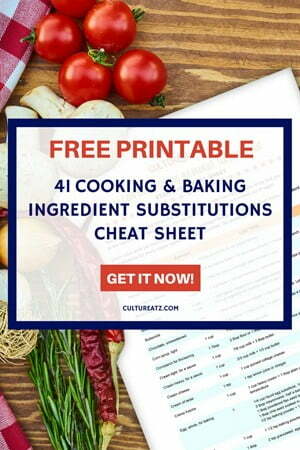 Cover a large countertop area or 2 large baking sheets with waxed paper. 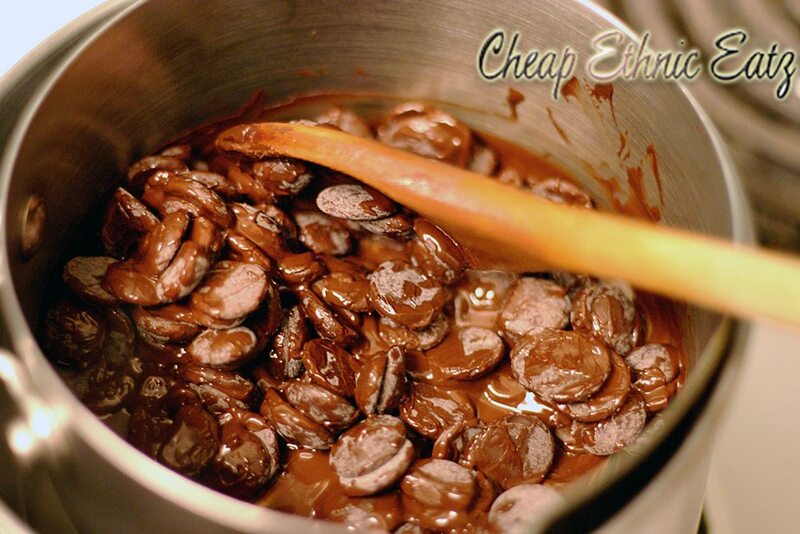 In the top pan of a double boiler over hot but not boiling water, melt the chocolate chips, stirring until smooth. 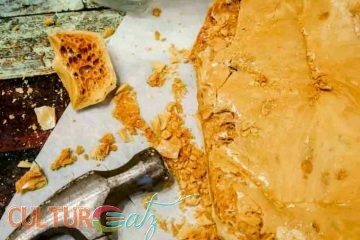 Add the peanut butter, vanilla and cereal, stirring until the peanut butter has melted and the mixture is well blended. Remove from the heat. Quickly drop by spoonfuls onto the waxed paper. Using a thumb or the back of a spoon, make an indention in the center of each candy. Lightly press 2 to 5 brightly colored jellybeans or miniature candy eggs into each indentation before the chocolate cools completely. Cool. Store in an airtight container. If desired, slightly less peanut butter may be used. 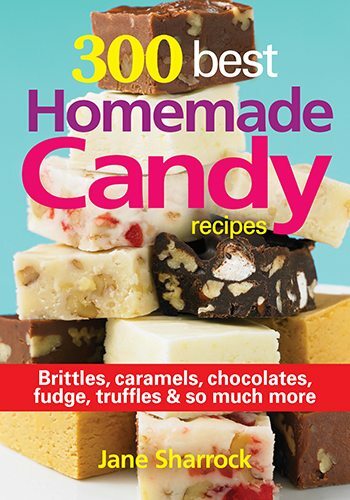 The 300 Best Homemade Candy Recipes cookbook has hundreds of recipes for sumptuously mouthwatering candies, chocolates, pralines, crèmes, fudges, toffee, holiday treats and no-bake cookies, this candy bible covers everything from the traditional to the exotic. I would love to give this a go but i dont have any easter eggs at home?? Dude.... these are ace! I love them. I used to be ALL for sharing my baked goodies with the work gang, but not sure I would have shared these. 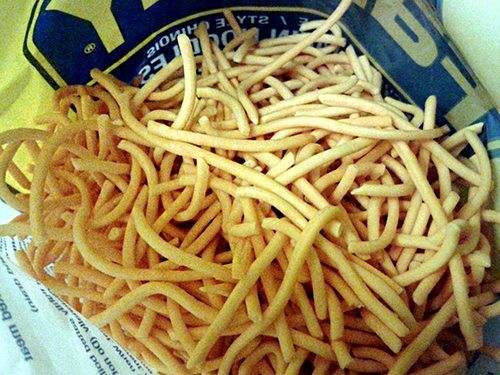 They are cute, and love that you used noodles instead of cereal, I would never have thought to do that. Thank Anna and I actually recommend the noddles best. Yesterday we we 4 at work in my dept and 3 brought chocolate lol. I'm really impressed with everyone's creative dessert every holiday. These nests are so cute and I'd definitely remember this one! They are so cute Evelyne and my son would devour them all in nanoseconds haha! These are so cute,Evelyne! My kids would love them! What a cute idea for Easter. 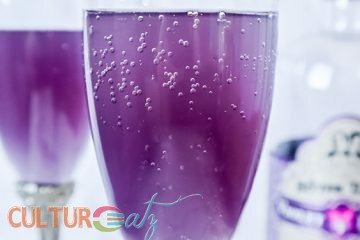 I'm so preparing this for next year, I'm sure it tastes great and it is are gorgeous decoration for the Brunch Table as well. These look so good! Nice and simple to make but very pretty too, and look like actual nests - unlike my version using cereal! So cute - love the Easter theme! These are so pretty too! YUM! I'd have to send them with Bill to work, or I'm afraid I'd eat way too many :) Happy Easter! These are so cute! I do bring snacks to work, and they usually go down a treat. Yes, yes, these are too adorable to eat! One of my favorite Easter treats. Yours look awesome and oh so sweet and delicious! I want a communal snack table...and a HUGE plus if these are on it! These are too cute!! We use hickory sticks... You know those salty deliciousness thats no good for you....lol. Anyways those go real good with chocolate! Just sayin' Happy Easter! Absolutely Ela, it will just be less curvy but would work! Super cute and simple to make! Love! !